Recently, while in New York I got to tour the headquarters for Martha Stewart. Her offices and studios are located in a great old historic building located at 601 West 26th street in the Chelsea neighborhood, they have a great space! Lorna Aragon Martha’s VP of Styling gave me and Vicki Dreste a tour of the space. I hadn’t seen Lorna since I had styled for Home Decorators Catalog and worked on introducing Martha’s new line of furniture for them. Me and Lorna Aragon. A very sweet and talented lady. The thing that really blew me away was the studios and prop room. Boy, do they have the set up. While we were there, food that had been beautifully prepared and photographed was being wheeled on a cart down the hall. Looked pretty tasty but prop food can be inedible. Pretty on the outside but there is a lot that goes into making it pretty, and some of those things you don’t want to eat. The studio space was amazing, not one studio but several. Also, a test kitchen and a cooler for fresh flowers, how lovely. I never have the privilege of styling in any set up like this. 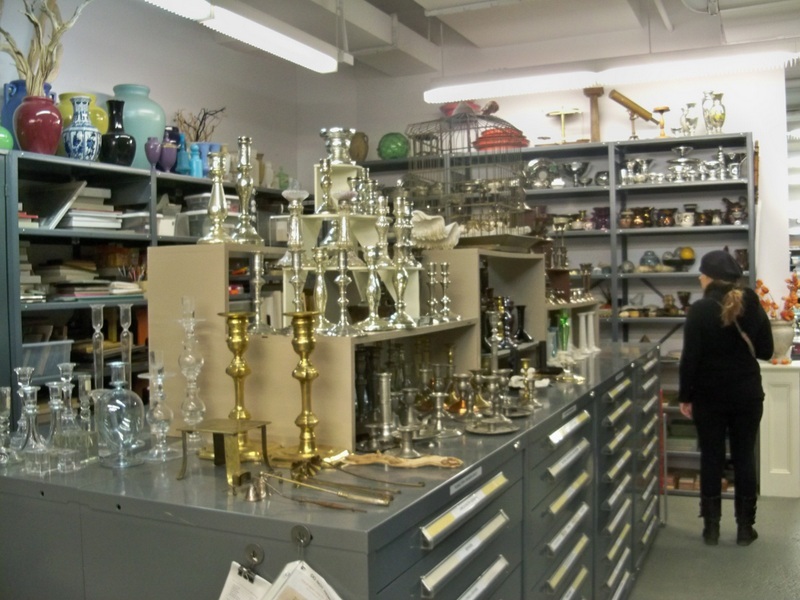 The prop room was an organized dream. Lots of fun stuff to play with. I would have loved to gotten to do a shoot there. 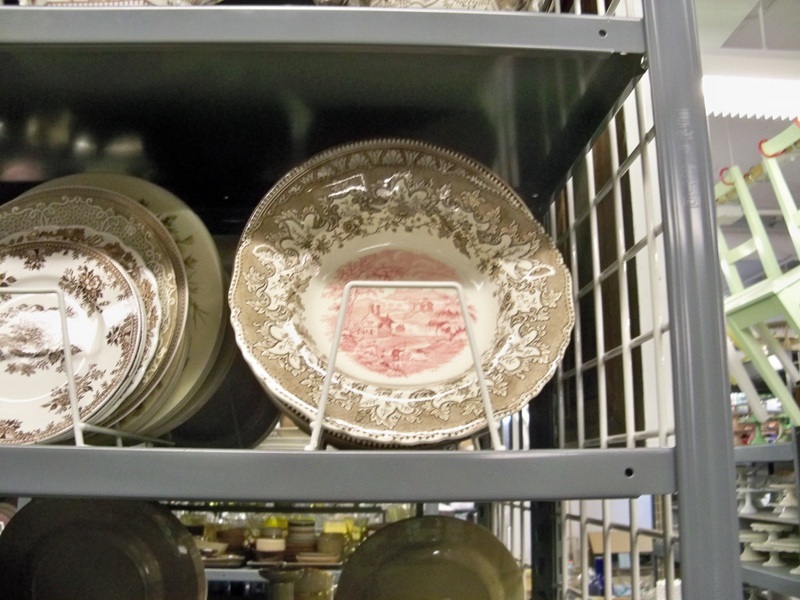 So many things to choose from to make a lovely room scene. 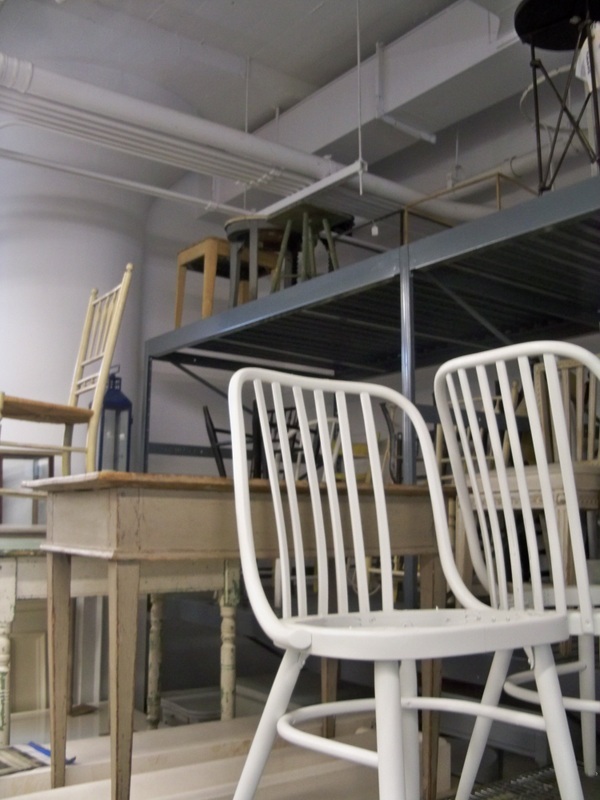 Rows of tables and chairs. 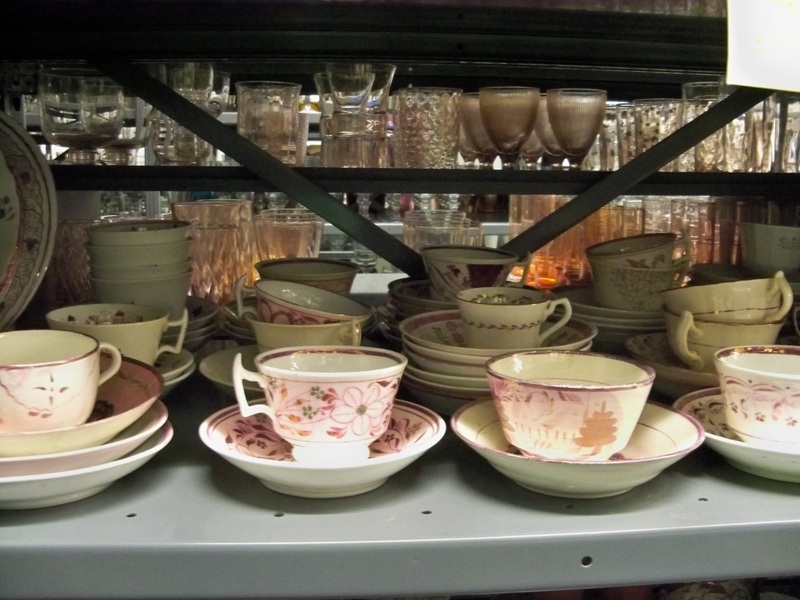 Shelves full of dishes of all sizes, colors and patterns. 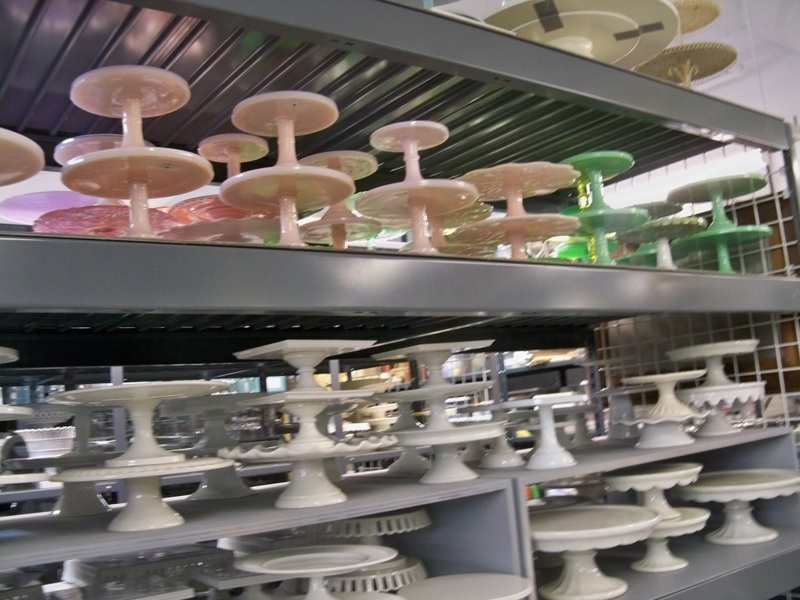 And of course lots of cake stands. Thanks Lorna for the tour! Thanks Vicki for letting me use your photos since mine disappeared! What an interesting experience Dottie! It looks amazing.